The Sony A9 is the first mirrorless camera that has the best lap to frame ratio, all thanks to its 20 frames per second burst speed, a 693 point autofocus system and a 24-megapixel resolution. This is the first of Sony cameras to use a stacked sensor technology and details a faster performance making it a must-have for action and sports photographers. The electronic shutter and dual SD cards slots are an added bonus in the camera and can operate in complete silence when you want it to. 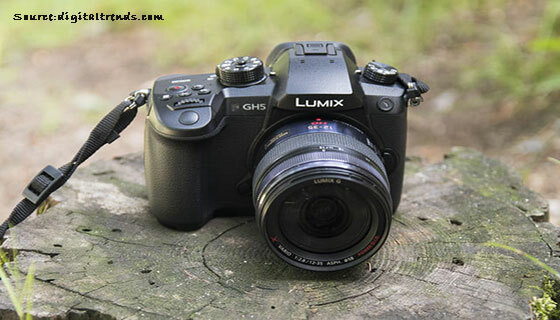 The Panasonic Lumix GH5 was launched just last year and is the top Micro Four Thirds camera in the market currently. The camera comes with a 4k functionality, a highly advanced autofocus system and a weather-sealed body that makes it an ideal choice for different weather conditions. It shoots an impressive 60p at 20.3 megapixels as compared to its old 16-megapixel predecessor. Other features include an improved viewfinder, 10-bit recording, full HDMI socket and wide variety of lenses available in Micro Four Thirds mount. Taking care of such digital equipment and protecting their screens is a matter of concern. Head to DigitalRev for up to 30% discount on a wide range of screen protect cases. You can also get your hands on the promo codes on subscription for further savings. For people with a serious love for Micro Four Thirds system, the Olympus OM-D E-M1 Mark II is a bang value for money. Prominent features of the camera include an in-body image stabilization, 4k video, weather-sealed magnesium body, perfect for outdoor shootings and fast burst rates all included in a 20.3 megapixels camera. Customers also have an option to go for Olympus’ Pro lenses for a top notch quality experience. Videographers looking for a compact set up now have an added option with the Panasonic Lumix GH5. The newly released Fujifilm X-H1 has taken mirrorless cameras to a completely new level. Equipped with improved autofocus, in-body image stabilization, touchscreen functions, improved autofocus, superior video quality and a full frame sensor all packed in this 24.3-megapixel camera. 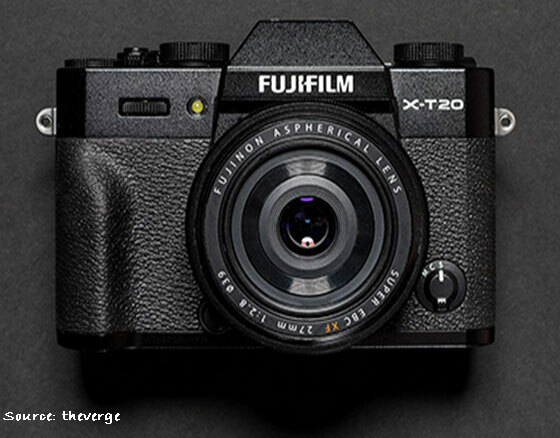 As compared to its predecessor X-T2, this camera packs more punch and a host of additional features. Fujifilm’s lenses are also a tad more affordable in comparison to other brands in the same domain. Panasonic has been known for delivering smart cameras crammed with clever and essential features. The Panasonic G80 is no different in this regard. You can shoot 4k video, high-resolution OLED viewfinder, built-in image stabilisation, a 3-inch free-angle touch screen, post focus feature all in a 16-megapixel camera makes it the best money buy for beginners and enthusiasts. The lack of anti-aliasing feature in the camera makes your images come out with a stronger detail but that can definitely be sidelined for its affordable price. For all the photo lovers, here’s the deal! Get 60% off on a wide range of canvas prints, photo books and calendars on Snapfish and gift your loved ones your best creation in a creative way. Canon too has jumped in the fray of mirrorless cameras in 2018 with the addition of the Canon EOS M50. The camera is built around the company’s latest Dual Pixel CMOSAF Sensor that is capable of phase-detection autofocus across a wider area frame. Features include the auto lighting optimizer, a decent sensitivity range of ISO 100-25,600 expandable to ISO 51,200 10fps focus fixed shots alongside a strong 24.1-megapixel resolution. Great for enthusiasts looking for a vlogging camera at a basic price range. For regular travellers with a penchant for taking photographs, the Panasonic Lumix GX9 makes for a value addition in their travel kitty. The 20.3-megapixel camera includes an enhanced body image stabilizer, a tilting viewfinder and screen, 4k photo and video and fast focusing. This also comes with interchangeable lenses and a grade A quality sensor. 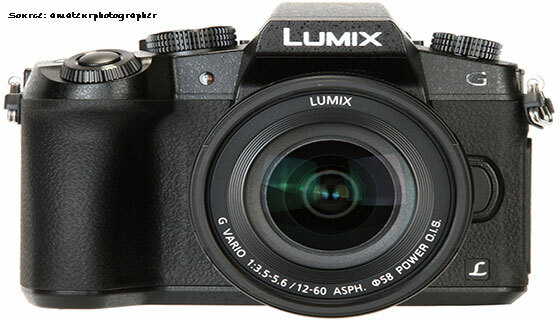 Panasonic has managed to come around with some of the best mirrorless cameras in the market to date and the Panasonic Lumix DC-G9 is a testament of that. It features one of the best in class control layout in its segment combined with an excellent viewfinder, weatherproof body and 20 frames per second shot capability complete with 4k and 6k photo modes in a 20-megapixel camera. Fujifilm’s has a great collection of mirrorless cameras and the X-T20 is a simpler version of the X-H1. The features of the X-T20 include a superior image quality, color rendition and 24.3-megapixels and sensors complete in a compact package. For its price, the X-T20 doesn’t feature autofocus joystick and weather compatibility but this is still a great buy for people wanting to shoot still photography and need a compact camera at a competitive price. The Sony Alpha a51000 is one of the cheapest mirrorless camera available in the market. With a package of an additional kit lens, touchscreen functionality, and better shooting at 11fps and the presence of an electronic viewfinder makes it an ideal entry to the mirrorless camera segment. So, there we have a small list of the 10 best mirrorless cameras for beginners in 2018.